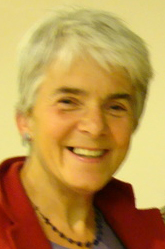 Frances Webber is a retired immigration and refugee barrister, formerly at Garden Court Chambers, London, and currently a part-time visiting lecturer at Birkbeck College, University of London (legal practice), she is a vice-chair of the Institute of Race Relations (London)’ Council of Management, contributor to the IRR Race and Refugee online News Service and author of the book Borderline Justice: the fight for refugee and migrant rights (2012). The following is her introduction to the topic. Below that are contacts for Professor Marshall, who is prepared to assist with specific country of origin information for persons seeking asylum on grounds of conversion, and Middle East Concern, an organization devoted the human rights of religious minorities. This report from the Pew Research Center will be extremely useful to Refugee Status Determination adjudicators working on apostacy cases. a. Voluntary apostate: a person whose parents, or either of them, were Muslim at the time of his or her development in the mother's womb and who takes up atheism after growing up. b. Innate apostate: a person who is born of atheist parents and who accepts Islam after growing up, but returns to atheism later. In most schools (of Islam), the apostate is given the chance to return from error and follow the ordained path. If this is not done, he or (according to the Shi`a Imamiya) she will be executed. The period which is given to the apostate to return varies according to the schools but the Shi`a Imamiya are particularly harsh in that they say that whoever was born into Islam and turns away from it should be killed and no repentance accepted (Amnesty International, Law and Human Rights in the Islamic Republic of Iran, February 1980, MDE/13/03/80). Many Muslim countries do not impose the death penalty for apostasy, since there is debate among Islamic scholars about its propriety in the light of the Qu’ranic injunction against coercion in religion. In other Muslim countries, the death penalty is on the statute book but not implemented. There is also debate about what constitutes apostasy. As Susan Musarrat Akram points out in ‘Orientalism Revisited in Asylum and Refugee Claims’ (IJRL 12 (1):7 (2000)), persecution of ‘apostates’ tends to be a political rather than a religious matter, as with the Iranian regime’s persecution of Bahá’ís and Pakistan’s of Ahmadis.But where apostasy is severely penalised, the risk of punishment founds a claim of persecution for reason of religion under the 1951 Convention. Informal punishments by family and community members will also found a claim if state agents do not provide effective protection. Renunciation of Islam is not the only type of apostasy which may attract punishment (and therefore potential international protection). Goodwin-Gill (The Refugee in International Law, 2nd edition, 1996) refers to the serious discrimination faced by Jews in Israel converting to Christianity (p45, fn58). Many refugee claims based on apostasy are ‘sur place’ claims, i.e. the applicant was not a refugee on leaving his country of nationality or habitual residence, but since departure has converted or otherwise renounced his religion and claims to face a real risk of persecution on return. ‘At the heart of liberty is the right to define one’s own concept of existence, of meaning, of the universe, and of the mystery of human life. Beliefs about these matters could not define the attributes of personhood were they formed under compulsion of the State’ (Planned Parenthood of Southeastern Pennsylvania v. Casey, 505 U.S. 833 (1992), at p. 851). The Canadian Supreme Court has said, ‘To compel religious practice by force of law deprives the individual of the fundamental right to choose his or her mode of religious experience, or lack thereof’ (Alberta v. Hutterian Brethren of Wilson Colony, 2009 SCC 37, ). 5. The Committee observes that the freedom to "have or to adopt" a religion or belief necessarily entails the freedom to choose a religion or belief, including the right to replace one's current religion or belief with another or to adopt atheistic views, as well as the right to retain one's religion or belief. Article 18.2 bars coercion that would impair the right to have or adopt a religion or belief, including the use of threat of physical force or penal sanctions to compel believers or non-believers to adhere to their religious beliefs and congregations, to recant their religion or belief or to convert. Policies or practices having the same intention or effect, such as, for example, those restricting access to education, medical care, employment or the rights guaranteed by article 25 and other provisions of the Covenant, are similarly inconsistent with article 18.2. The same protection is enjoyed by holders of all beliefs of a non-religious nature. 2. No one shall be subject to coercion which would impair his freedom to have a religion or belief of his choice. 1. No one shall be subject to discrimination by any State, institution, group of persons, or person on the grounds of religion or other belief. 2. For the purposes of the present Declaration, the expression "intolerance and discrimination based on religion or belief" means any distinction, exclusion, restriction or preference based on religion or belief and having as its purpose or as its effect nullification or impairment of the recognition, enjoyment or exercise of human rights and fundamental freedoms on an equal basis. Discrimination between human beings on the grounds of religion or belief constitutes an affront to human dignity and a disavowal of the principles of the Charter of the United Nations, and shall be condemned as a violation of the human rights and fundamental freedoms proclaimed in the Universal Declaration of Human Rights and enunciated in detail in the International Covenants on Human Rights, and as an obstacle to friendly and peaceful relations between nations. 4. In the case of a child who is not under the care either of his parents or of legal guardians, due account shall be taken of their expressed wishes or of any other proof of their wishes in the matter of religion or belief, the best interests of the child being the guiding principle. 5. Practices of a religion or belief in which a child is brought up must not be injurious to his physical or mental health or to his full development, taking into account article 1, paragraph 3, of the present Declaration. The rights and freedoms set forth in the present Declaration shall be accorded in national legislation in such a manner that everyone shall be able to avail himself of such rights and freedoms in practice. Nothing in the present Declaration shall be construed as restricting or derogating from any right defined in the Universal Declaration of Human Rights and the International Covenants on Human Rights. A Special Rapporteur on Freedom of Religion or Belief reports annually to the Human Rights Council, the Commission and the General Assembly on the state of religious tolerance and discrimination throughout the world. For the annual reports, see http://www2.ohchr.org/english/issues/religion/annual.htm. In addition, the Special Rapporteur regularly sends communications to governments on these issues, and the annual summaries of communications of the SR and governments’ responses are published on the same website. A recent report (A/HRC/7/10/Add.1) includes communications to the Indonesian and Iranian governments over their treatment of Baha’is. 2. Freedom to manifest one’s religion or beliefs shall be subject only to such limitations as are prescribed by law and are necessary in a democratic society in the interests of public safety, for the protection of public order, health or morals, or for the protection of the rights and freedoms of others. 1. Everyone has the right to freedom of conscience and of religion. This right includes freedom to maintain or to change one's religion or beliefs, and freedom to profess or disseminate one's religion or beliefs, either individually or together with others, in public or in private. Article 26: Everyone has a guaranteed right to freedom of belief, thought and opinion. Article 27: Adherents of every religion have the right to practise their religious observances and to manifest their views through expression, practice or teaching, without prejudice to the rights of others. No restrictions shall be imposed on the exercise of freedom of belief, thought and opinion except as provided by law. The Cairo Declaration on Human Rights in Islam, adopted at the 19th Islamic Conference of Foreign Ministers in Cairo on 5 August 1990. This places human rights within an Islamic context. As such, although it contains non-discrimination principles, no protection is afforded to those forsaking Islam, which is ‘the religion of unspoiled nature (Art 10, prohibiting forced or exploitative conversion from Islam to another religion or atheism). The Declaration expressly subjects all the rights and freedoms contained within it to the Islamic Shari’ah (Art 24). 12. Persecution for reasons of religion may ... take various forms. Depending on the particular circumstances of the case, including the effect on the individual concerned, examples could include prohibition of membership of a religious community, of worship in community with others in public or in private, of religious instruction, or serious measures of discrimination imposed on individuals because they practise their religion, belong to or are identified with a particular religious community, or have changed their faith. 8 Equally, in communities in which a dominant religion exists or where there is a close correlation between the State and religious institutions, discrimination on account of one’s failure to adopt the dominant religion or to adhere to its practices, could amount to persecution in a particular case. 13. Applying the same standard as for other Convention grounds, religious belief, identity, or way of life can be seen as so fundamental to human identity that one should not be compelled to hide, change or renounce this in order to avoid persecution. Indeed, the Convention would give no protection from persecution for reasons of religion if it was a condition that the person affected must take steps – reasonable or otherwise – to avoid offending the wishes of the persecutors. Bearing witness in words and deeds is often bound up with the existence of religious convictions. 22. … Where the law imposes disproportionate punishment for breaches of the law (for example, imprisonment for blasphemy or practising an alternative religion, or death for adultery), whether or not for adherents of the same religion, it would constitute persecution. 34. Where individuals convert after their departure from the country of origin, this may have the effect of creating a sur place claim. In such situations, particular credibility concerns tend to arise and a rigorous and in depth examination of the circumstances and genuineness of the conversion will be necessary. Issues which the decision-maker will need to assess include the nature of and connection between any religious convictions held in the country of origin and those now held, any disaffection with the religion held in the country of origin, for instance, because of its position on gender issues or sexual orientation, how the claimant came to know about the new religion in the country of asylum, his or her experience of this religion, his or her mental state, and the existence of corroborating evidence regarding involvement in and membership of the new religion. 35. Both the specific circumstances in the country of asylum and the individual case may justify additional probing into particular claims. Where, for example, systematic and organised conversions are carried out by local religious groups in the country of asylum for the purposes of accessing resettlement options, and/or where “coaching” or “mentoring” of claimants is commonplace, testing of knowledge is of limited value. Rather, the interviewer needs to ask open questions and try to elicit the motivations for conversion and what effect the conversion has had on the claimant’s life. The test remains, however, whether he or she would have a well-founded fear of persecution on a Convention ground if returned. Regard should therefore be had as to whether the conversion may come to the notice of the authorities of the person’s country of origin and how this is likely to be viewed by those authorities. Detailed country of origin information is required to determine whether a fear of persecution is objectively well-founded. 36. So-called “self-serving” activities do not create a well-founded fear of persecution on a Convention ground in the claimant’s country of origin, if the opportunistic nature of such activities will be apparent to all, including the authorities there, and serious adverse consequences would not result if the person were returned. Under all circumstances, however, consideration must be given as to the consequences of return to the country of origin and any potential harm that might justify refugee status or a complementary form of protection. In the event that the claim is found to be self-serving but the claimant nonetheless has a well-founded fear of persecution on return, international protection is required. Where the opportunistic nature of the action is clearly apparent, however, this could weigh heavily in the balance when considering potential durable solutions that may be available in such cases, as well as, for example, the type of residency status. The cases from the jurisdictions of Australia, Canada, New Zealand, the UK and the US demonstrate a progressively more sophisticated approach to the problem of apostasy, which now looks closely at the situation on the ground for converts and the pronouncements of prominent political and religious figures as well as the penal code in the country concerned. Some of the significant cases are summarised below. In Wang v MIMA (2000) 179 ALR 1, 105 FCR 548 ; 62 ALD 373;  FCA 1599, the Federal Court of Appeal held that participation in communal religious rites could be an essential element of worship and deprivation of this by state authorities could be persecution. In a line of cases, the Australian courts have considered the issue of discretion in worship: whether discretion about unacceptable attributes (whether a particular religion or sexual orientation) can be demanded in order to avoid persecutory consequences, and whether the fact of discretion, and the lack of adverse consequences, can be taken into account in assessing the reality of a risk of persecution. The two issues have frequently been confused. Woudneh v MILGEA, unreported, Gray J. G86 of 1988, 16 September 1988 (Ethiopian Marxist who became a born-again Christian): in the absence of evidence that an applicant could conceal his faith, consistently with practising it (where, for example, proselytising or public worship were essential tenets of that faith), it was not open to conclude that he would not be persecuted because his faith was unknown to the authorities. The mere fact of the necessity to conceal actual or threatened infliction of punishment would amount to support for the proposition that the applicant had a well-founded fear for reasons of religion. ‘... persecution does not cease to be persecution for the purpose of the Convention because those persecuted can eliminate the harm by taking avoiding action within the country of nationality. The Convention would give no protection from persecution for reasons of religion or political opinion if it was a condition of protection that the person affected must take steps – reasonable or otherwise – to avoid offending the wishes of the persecutors. In NAEB v MIMIA  FCAFC 79 the Federal Court of Appeal held that the fact that the appellant practised her religion discreetly, and that such practice meant no adverse consequences, could be taken into account as an indication that she would not face persecution on return, despite the fact that those who practised the religion more publicly would face persecution. In W441/01A v MIMA  FCA 453, where a Tribunal had held that an Armenian Christian who had converted to Islam and then re-converted would not face persecution as there was no evidence he would seek to proselytise, the Federal Court held that the Tribunal had failed to consider the risk of persecution through attending public worship. In SGKB v MIMIA  FCAFC 44 76 ALD 381, the lower court had held that a Christian convert would not face persecution as he would not disclose his conversion, but the full Court held that it had not considered the risk of discovery or exposure; further, by concentrating on the death penalty for apostasy (which had not been carried out for some years) the lower court had failed to have regard to lesser instances of persecutory action to which he might be subject. In Minister for Immigration & Multicultural & Indigenous Affairs v VWBA  FCAFC 175 the Full Court by a majority held that the principles in S395/2002 v MIMA (above) were as follows: – (1) The Tribunal will err if it assesses a claim on the basis that an applicant is expected to take reasonable steps to avoid persecution if returned to his or her country of origin - its task is to assess what the applicant will do, not what he or she should do. – (2) If the Tribunal finds that a person will act in a way that will reduce a risk of persecution that would otherwise have been well-founded, the Tribunal must consider why the person will act in that way - if it fails to do so, it commits a jurisdictional error. – (3) It will err if, having found that a person will act in a way that will reduce a risk of persecution, it does not go on to consider whether the person nevertheless has a well-founded fear of persecution because, despite the conduct that reduces the risk, there is still a real risk that the person will be persecuted. In Applicant NABD of 2002 v Minister for Immigration and Multicultural and Indigenous Affairs  HCA 29, the High Court held (by majority) that where someone’s faith did not require proselytising or other strong outward manifestation, the Tribunal was not required to adjudge their claim on the basis that they would seek to profess it publicly. The RRT had relied on country information which distinguished between ‘converts to Christianity who go about their devotions quietly and maintain a low profile [who] are generally not disturbed’ and persons involved in ‘aggressive outreach through proselytising by adherents of some more fundamental faiths’. It had found that any decision by the appellant to avoid proselytising in Iran or of actively seeking attention on matters of religion was not inconsistent with his beliefs and practices and he would not be constrained in the practice of his avowed faith in Iran, due to a perception that to behave more openly or aggressively would leave him at risk of persecution. Held: this conclusion was open to it on the evidence. The minority held that the majority had again fallen into the error of confusing fear of persecution with avoidance of adverse consequences. RRT Case No. 0902782,  RRTA 968, Australia: Refugee Review Tribunal, 30 October 2009, available at: http://www.unhcr.org/refworld/docid/4b1cdf762.html: The RRT held that a non-practising Muslim who was in a relationship with a Catholic Filipina woman of Chinese origin, with whom he had a daughter, would face persecution on return to Bangladesh with his partner and daughter, owing to the combined effect of not practising, of being in a relationship with someone of different religion and race, and having a child born out of wedlock. RRT Case No. 071246761,  RRTA 147, 9 July 2007, available at: http://www.unhcr.org/refworld/docid/47f379342.html: The RRT held that a Hazara who has clearly been living in a Western country and whose behaviour and appearance are those of a person with opinions at odds with those of the Taliban faced a real risk of serious physical harm as a perceived apostate by local people and that state authorities would be unable to provide effective protection. Adel Mohammed Bakr Mohamed, V87-6168 (IRB), 18 November 1988: The Board accepted the principle that refugee protection could appropriately be extended to persons with an apprehension of persecution due to their decision to change their religion, while not finding such a situation in the instant case. X (Re), 2000 CanLII 21312 (I.R.B. ): The claims of a child found in an orphanage, her guardian/ de facto mother and that woman’s husband and minor son, all Iranian, based partly on conversion to Catholicism, were genuine and well founded. Mohajery and Ors v. Canada (Minister of Citizenship and Immigration), 2007 FC 185, Canada: Federal Court, 19 February 2007, available at: http://www.unhcr.org/refworld/docid/48abd5600.html: On a judicial review of refusal of an asylum claim based on conversion to Christianity in Iran, the Federal Court held that while the Board was entitled to disbelieve the appellants’ account of conversion and persecution in Iran, it had failed to deal with the sur place claim arising out of their Christian activities in Canada and the risk this might give rise to in Iran. Ghasemian v. Canada (Minister of Citizenship and Immigration), 2003 FC 1266, available at: http://decisions.fct-cf.gc.ca/en/2003/2003fc1266/2003fc1266.html: Even if motives for conversion are not genuine, the consequential imputation of apostasy by the authorities in Iran may nonetheless be sufficient to bring an applicant within the scope of the convention definition. Refugee Appeal No. 73945, NZRSAA, 27 June 2006: The appellants, Iranian converts, suffered a real chance of persecution because their conversion had come to the attention of Iranian authorities through attending a church, participating in bible study, sharing their faith with others in their personal, work and school spheres, wishing to pray and worship in a free and unrestrained manner, having a genuine and on-going commitment to the Christian faith, being evangelical and proselytising in a manner consistent with their respective personalities, attending an evangelical church similar to the one they presently attend, and not being capable or willing to confine the practice of their religion in attending a place of worship to the private realm. Refugee Appeal No. 76367, NZRSAA, 5 October 2009, available at: http://www.unhcr.org/refworld/docid/4afc2f602.html: Iranian apostate convert to Christianity who sent Christian materials back to sister in Iran had well-founded fear of being persecuted for reasons of religion. Refugee Appeal No. 76385, NZRSAA, 17 September 2009, available at: http://www.unhcr.org/refworld/docid/4ad4ad242.html: A Saudi convert to Christianity would have difficulty manifesting his religion, as there are no churches, and one whose conversion was known to the authorities faced a real chance of serious harm in the form of arbitrary detention, serious physical mistreatment and long-term harassment, amounting to persecution. Refugee Appeal No. 76219, NZRSAA, 29 June 2009, available at: http://www.unhcr.org/refworld/docid/4a5dd3f22.html: An Egyptian Coptic Christian who was forcibly converted to Islam and has since re-converted to Christianity faced a real risk of persecution on return to Egypt since a replacement ID card would disclose not just his (Christian) religion but also the fact that he formerly embraced Islam, exposing him to official harassment (including arbitrary detention and ill-treatment) and informal acts of violence as an apostate. Shirazi v Secretary of State for the Home Department EWCA Civ 1562 (06 November 2003)(UK Court of Appeal) http://www.bailii.org/ew/cases/EWCA/Civ/2003/1562.html: Great caution [was] appropriate in deciding on the genuineness of conversions from Islam to Christianity in the context of refugee claims based on apostasy. FS and Others (Iran - Christian Converts) Iran v. Secretary of State for the Home Department, CG  UKIAT 00303, United Kingdom: Asylum and Immigration Tribunal / Immigration Appellate Authority, 17 November 2004, available at: http://www.unhcr.org/refworld/docid/42c934fb4.html: A distinction was drawn between the ordinary discreet convert to Protestant Christianity, who would be able to practise Christianity (including attending church) without untoward risk, and the more active convert, pastor, church leader, proselytiser or evangelist, who would be at real risk. SZ and JM (Christians - FS Confirmed) Iran v. Secretary of State for the Home Department, CG UKAIT 00082, UK AIT/IAA, 12 November 2008, available at: http://www.unhcr.org/refworld/docid/491af9092.html: The distinction drawn in FS and others (above) still held good, and generally the situation of ordinary converts to Christianity did not amount to persecution. Conditions for Christians in Iran have not deteriorated sufficiently to necessitate a change in the guidance in FS and others (Iran - Christian Converts)(above). It remains to be seen whether the proposed inclusion of apostasy in the amended criminal code will make a material difference. The amendments to the code are part of a wholesale change in the criminal law and not solely aimed at converts. The proposals are still before Parliament. 'Proselytising' and 'evangelising' are not terms of art and distinctions should not be drawn between them. But the appellant JM, as a convert to Roman Catholicism, would not be able to practise his religion in Iran on return. To deprive him, as an actively practising Roman Catholic, of any meaningful contact with his church, and any of the accepted essential elements of that sacramental religion, is to require him to live a life that he could not reasonably be expected to tolerate. It would partially suppress his religious identity. Held: JM qualified for refugee status. NM (Christian Converts) Afghanistan CG  UKAIT 00045: An Afghan claimant who can demonstrate that he has genuinely converted to Christianity from Islam is likely to be able to show that he is at real risk of serious ill-treatment amounting to persecution or a breach of his Article 3 ECHR rights on return to Afghanistan. Elnager v INS 930 F.2d 784 (9th circuit, 1990): An Egyptian Claimant lost his claim based on conversion to Christianity on the basis that there was nothing in Egyptian law or policy mandating any penalty for conversion, and there was a tradition of tolerance for religious minorities and for religious conversion there. Bastanipour v INS 980 F.2d 1129 (7th circuit, 1992): The Iranian Claimant’s apostasy, combined with his drugs conviction in the US and his brother’s oppositional activities, combined to give rise to a well-founded fear of persecution in Iran. F.G. v Sweden: Iranian seeking asylum who had converted after fleeing Iran for political reasons; denied asylum and rejected using religion as grounds as he did not want to court asylum based on his new religion because the applicant viewed religion as a private matter. After deportation order a fresh case was ordered by higher court taken based on religious grounds for asylum because in the meantime he had been active on the internet demonstrating his faith and bringing new evidence on how he would practice his faith if deported back to Iran. The Court held that return to Iran would breach his Art 3 rights, as despite reopening the case following the deportation order, the Swedish authorities never conducted a proper assessment of the risks he faced as a known Christian convert. The International Religious Freedom Report for 2012 (US Department of State) contains useful information on the state of religious freedoms in different countries around the world. - An important and useful paper on the problems of assessing the credibility of claims to be members of persecuted religious minorities. Kagan reveals that over three-quarters of UNHCR's refusals of religion-based refugee claims are based on negative credibility assessment. Using a sample of transcripts of refugee status determination (RSD) interviews by UNHCR in Cairo, Kagan shows some of the pitfalls of attempting to test religious belief through testing religious knowledge, analysing some of the assumptions behind such questioning (such as the assumption that a genuine believer is likely to be more knowledgeable about matters of religious doctrine than a religious imposter). He offers as a better approach the 'eyes of the persecutor' perspective, which leads interviewers to focus more on objectively observable signs of religious faith such as church attendance. - A report which highlights administrative discrimination on religious grounds in Egypt. Middle East Concern (MEC) is based in the Middle East. It is an Association of established Christian agencies and individuals advocating the human rights of the Christian communities in the Middle East and North Africa, within the general human rights context in the region. Dr. Paul Marshall is the author and editor of over twenty books, the general editor of Religious Freedom in the World, and is an expert on the effects of blasphemy, apostasy and insulting religion accusations in the Muslim majority world. Amongst his books that deal with this issue in the are Radical Islam’s Rules (2005), Religious Freedom in the World: A Global Survey (2008) and Silenced: How Blasphemy and Apostasy Codes are Choking Freedom Worldwide (2011, Oxford University Press), which details the growing effects of blasphemy and apostasy laws and accusations.